The great people at Uprinting are offering us another great giveaway, and I'm very excited about this one! Uprinting will be providing one Simply Sweet Home reader a set of 250 business cards, and for hosting this giveaway, I'll be getting 250 business cards as well. This is such an excellent prize. No business is complete without a business card, and I'm looking forward to getting some professionally printed cards for my new jewelry shop. And if you don't have a business, you can still take advantage of this giveaway. You could use these to promote your blog, use them as Mom-cards, or a simple calling card to hand out to friends and family. Shipping: Winners are required to pay shipping costs for their prizes. To enter this giveaway, simply leave a comment on this post telling us how you'd use your 250 business cards. Deadline to enter: January 17 at 10PM. Additional Entries: Please note the changes in the number of extra entries for this giveaway. -Three entries for following me publicly on blogger. -Two entries for joining my feedblitz mailing list, or 5 entries if you are already a member prior to this giveaway. -Two entries for subscribing in a reader. -One entry for following or subscribing to my new business blog and one entry for subscribing to Simply Sweet Creations. -Five entries if you visit my shop and make a purchase. -Two entries for following me on twitter and/or becoming a fan on facebook. I'm already a subscriber in a reader. I get all your updates in my google reader and love them. I'd use them for my Scentsy biz. Just started a lighting company so I need business cards! I'd use the business cards to promote my blog, Badger Momma. I'd use these cards to promote my blog! 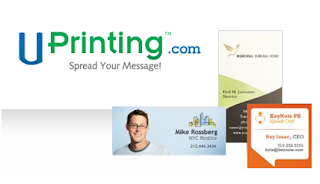 I would use the business cards to promote my freelance writing business I just started up. They would be such a help! I would use the cards as thank you notes to slip into my Etsy packages. Or, I would use them as "mommy calling cards" for playdates. I just started teaching piano lessons. I sure could use them to promote my lessons. I'm thinking of doing some freelance tutoring--I could definitely use cards to give to potential clients! These would come in very handy. Hubs and I need new business cards (we are self-employed!). I don't have a business but I am getting married this year. I would use the business cards to make wedding favor tags! I would put a picture of my fiance & my myself & a sweet little thank you note. Thanks for a great giveaway & good luck to all! I joined your feedblitz mailing list! YAY! I would use my business cards for my business. I also follow Fortunato's Hat! My husband would print out some cards to hand out for his profession. I would use them for my cupcake/cookie business! Relish! Menu Planning Review & Giveaway!